New court documents suggest that the BBC has yet to find the source of the leaked 'Doctor Who' footage that previously appeared online. The British company is hoping that Microsoft can help. 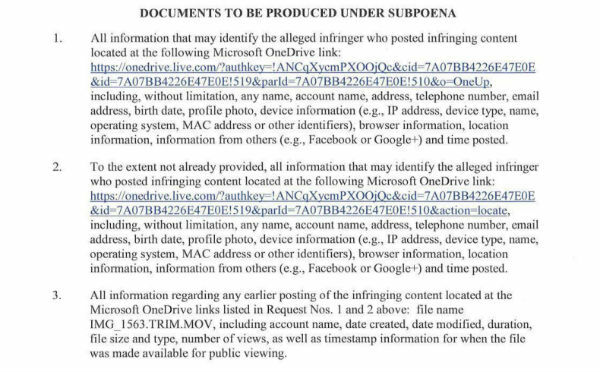 At a federal court in Washington, the BBC requested a DMCA subpoena targeted at a OneDrive user who shared the infringing material online late June. Doctor Who fans all around the world are looking forward to the upcoming season, which will be the first to have a female lead. While the debut is still a few months away, leaked footage of the first episode recently started to appear. A short unfinished clip of the new season surfaced in several places. This frustrated some fans, who prefer not to see any spoilers, as well as the BBC which doesn’t want unapproved teasers of their hit show to be circulating online. In an effort to track down the source of the leak the BBC has taken the matter to the US courts. Last month it obtained a DMCA subpoena from a California federal court, ordering the forum tool Tapatalk to identify the source of an infringing post. Whether this resulted in any useful information is unknown, but a few days ago it became clear that BBC is still investigating the matter. 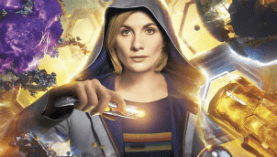 “The infringing material includes, without limitation, an unauthorized copy of copyrighted video content from Season 11, Episode 1 of Doctor Who, for which BBC Worldwide Limited t/a BBC Studios (Distribution) is the exclusive licensee,” the BBC writes. According to the BBC, the footage in question was stolen from the studio. Through the subpoena, the company hopes to find out more about the source of this leak, to prevent similar situations going forward. It asks Microsoft to hand over any relevant information that can help to identify the account holder who uploaded the video, which was added to OneDrive back in June. This is not the first time that the BBC has dealt with a Doctor Who leak. In 2014 a heavily watermarked and unfinished copy of Doctor Who appeared on The Pirate Bay months before the official premiere. That was later followed by leaked scripts and episodes. The latter was not the work of skilled hackers, but rather the result of a catastrophic error at a BBC office in Miami. According to the court records, it’s not clear whether the subpoena against Microsoft has been issued. However, DMCA subpoenas are generally signed off by a court clerk without any oversight from a judge, so this should be relatively straightforward. A copy of the BBC’s DMCA subpoena request is available here (pdf).